Learn about the range of hydraulic pumps and motors available and how they work. Understand where and why they are used and how to get the best performance from them. This module introduces people to the range of hydraulic pump types and discusses some of the reasons why they are used in particular applications. Recognising the different types of hydraulic pumps. 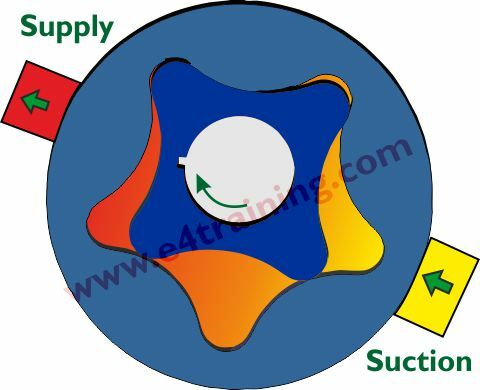 Basic hydraulic pump design principles. Understand what the different types of hydraulic pumps are used for. This module provides a brief introduction to the use of gerotor pumps in the fluid power industry, even though this relatively infrequent. What gerotor pumps are used for? 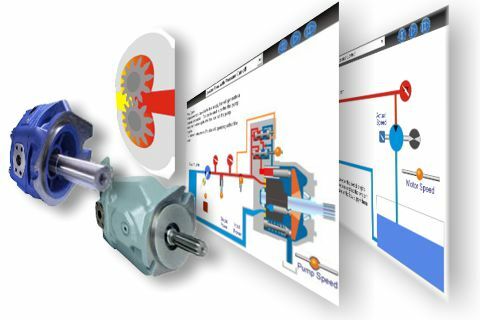 This module looks at the basic operation and application of both internal an external gear pumps before reviewing more detailed installation, application, and maintenance advice. What gear pumps are used for? This module looks at the basic operation and application of both fixed and variable displacement vane pumps before reviewing more detailed installation, application, and maintenance advice. What hydraulic vane pumps are used for? This module looks at the basic operation and application of both fixed and variable displacement piston pumps before reviewing more detailed installation, application, and maintenance advice. What hydraulic axial piston pumps are used for? 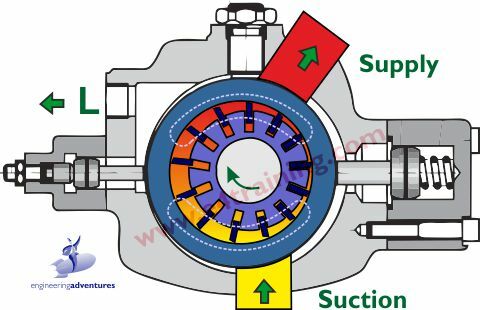 What hydraulic radial piston pumps are used for? This module looks at the basic operation and application of both fixed and variable displacement low speed high torque LSHT piston motors before reviewing more detailed installation, application, and maintenance advice. What hydraulic LSHT motors are used for? 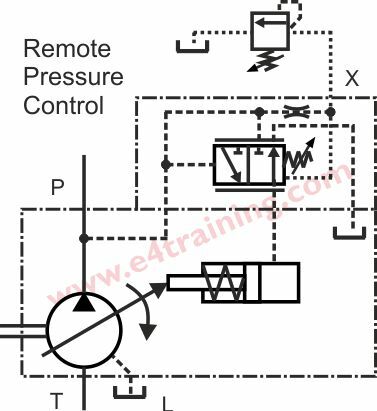 This module is not market specific and will clarify the difference between all types of hydraulic pumps and their applications.